As the football powerhouses and scrappy wild card teams battled their way to Super Bowl XLIX , fans were anxiously clinging to their couches and sports bars, waiting to see if their favorite colors would bring home the pride and glory. While it's fun watching these guys tear into each other, we can't forget to take the time and appreciate some of the finer things that football has to offer. What I'm talking about of course, is the WAGs of the NFL. Yes, while their men are scratching and clawing their way into victory, the wives and girlfriends of the gridiron stand tall on the sidelines, doing their part by looking good. With every great play comes a hot wife or girlfriend leading the supportive cheer. To show our appreciation for the most important 12th Man, here are the sexiest 2015 NFL Playoff WAGs (in no particular order). 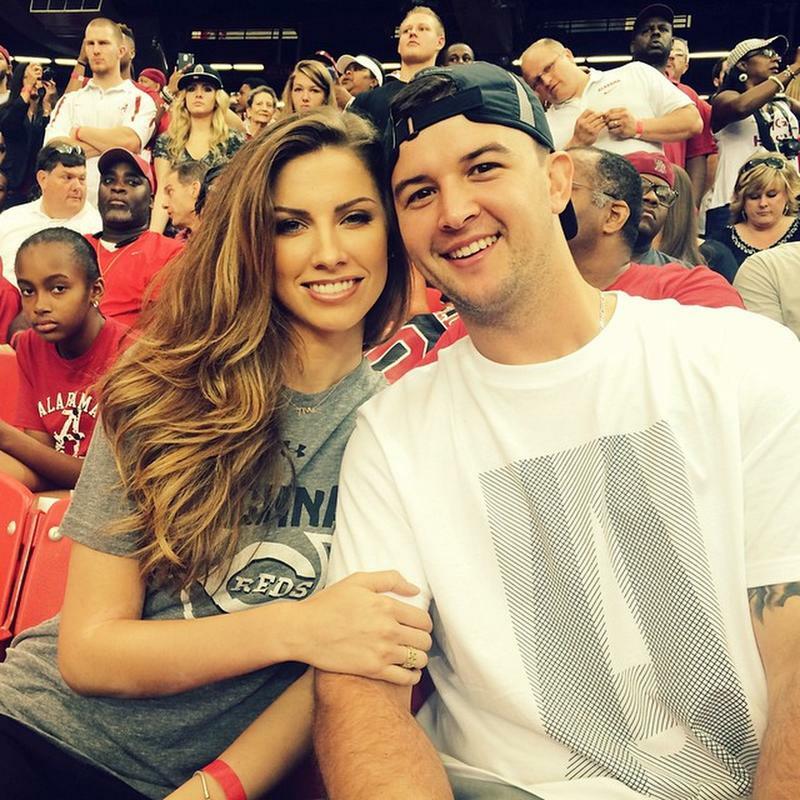 AJ McCarron may just be the backup QB for the Cincinnati Bengals, and they may have been knocked out of the playoffs...but McCarron is definitely winning in one department where it counts. McCarron is now married to model and former Miss Alabama, Katherine Webb.